We are Approved Stuart Turner water Pump Installers and we repair the Stuart Turner water pump range on a daily basis in the Dublin area and surrounding areas. Our main expertise is with domestic water booster pumps. Our service engineers carry replacement pumps and the Aqua Flow Products range of spare parts that will fix 100% of Stuart turner pumps and the monsoon universal range of pumps. 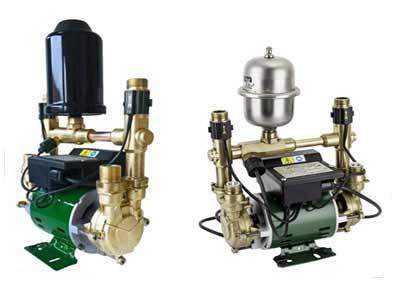 Based in the Dublin Ireland and have been in the Stuart Turner water pump repair business for over 10 years and have expanded our pump repair services to include all the models in the ST pump range. Including M330N Monsoon ST55 ST66 and Monsoon universal pumps. Why buy a new Stuart Turner Pump when you can get your old pump repaired or reconditioned for a fraction of the cost of buying a new water pump. We can repair your water pump in your own home or at our workshop. If you were to purchase a new water pump it could set you back over €800 most problems with Stuart Turner pumps happen after seven or eight years and these are common problems due to ware and tear. But the good news is all these faults can be fixed saving you hundreds of euros. The Stuart Turner product range is second to none and they have been in the pump manufacturing business for many years producing high quality brass twin impeller pumps that stand the test of time. If you have already installed a Stuart Turner pump in your home you will know how robust these pumps are. After many years of use your booster pump may act up and this is a very common problem on any water pump. It may only take a few spare parts to carry out a repair to get water back up and running in your home. We carry a very large range of parts in our vans to cover almost all problems with stuart turner pumps and if your pump is beyond repair we carry new and reconditioned pumps as replacements if needed. We sell a wide range of Stuart Turner and Monsoon reconditioned pumps and all our pumps are stripped down disassembled and built back up using all brand new parts from the pressure vessel to the anti vibration feet. The pumps are then sprayed lubricated and tested on our system for 30 minutes to ensure the pump works 100%. There is no reason why you should not get more than ten years from a reconditioned stuart turner water pump providing the parts that were used in the recondition are new. We have a drop in centre in Dublin where you can leave your old pump in for recondition or trade your old pump in and get a swap over the counter. Stuart turner pump repairs 1.5 bar. Stuart turner monsoon pump repair 2.0 bar. 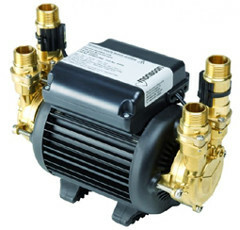 Stuart turner monsoon pump 3.0 bar brass. Universal Monsoon 1.5 bar pumps. Universal Monsoon 2.0 bar pumps.